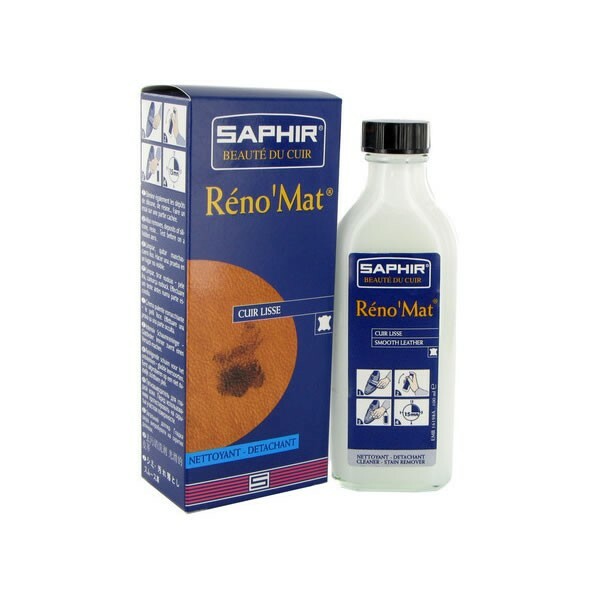 Saphir Renomat 100ml. For stain-removing and in-depth cleaning of the pores of smooth leather, removing dirt marks and deposits of products based on resin and silicone. 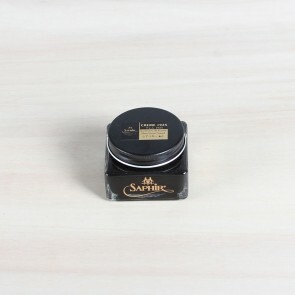 Essential before using Saphir shoe polish which contains neither silicone nor resin. 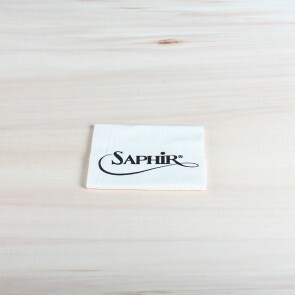 Non-agressive formula. 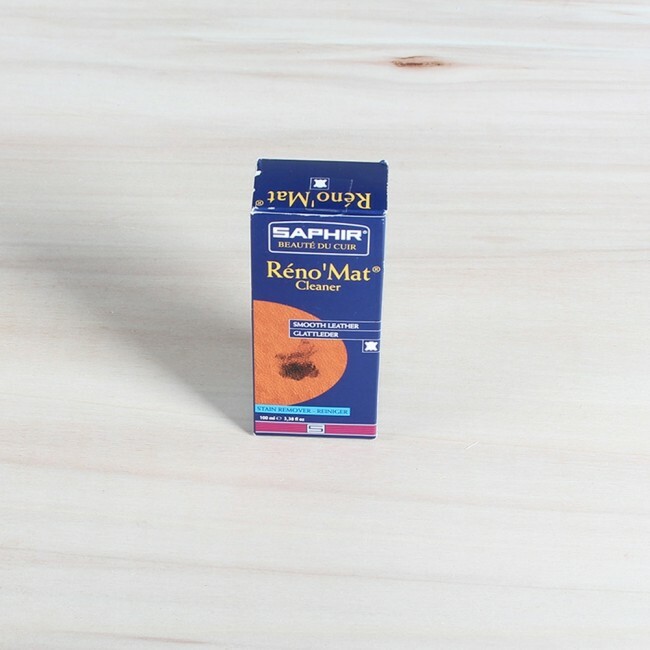 The main difference between these two is that Renomat is great to strip your shoes from old and/or synthetic shoe polish. 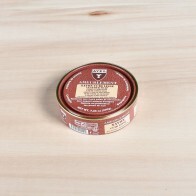 This cleaner contains just enough solvents to remove shoe polish without affecting the dye in the leather. 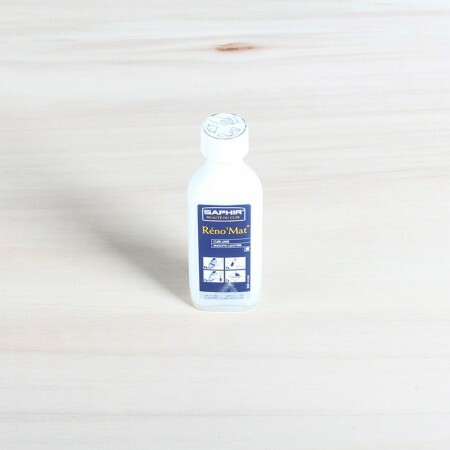 Renomat is also a great stain remover and can be used on very specific points on the shoes. 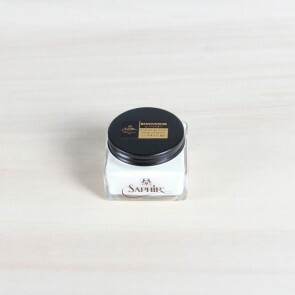 Saddle soap is a more gentle option compared to the Renomat, and is as the name already reveals a soap so you need to use this product with water. 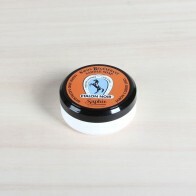 Saddle soap is great for when you want to scrub and wash an entire shoe that collected a lot of dirt.